TerraCom has upgraded the marketable reserves at its Blair Athol coal mine in the Bowen Basin region of Queensland to boost the life of the operation. The company’s marketable reserves, which now stand at 23.5 million tonnes, refer to TerraCom’s thermal product from the mine. Total reserves have increased by 59 per cent since February 2018 to 28.7 million tonnes in keeping with JORC Code standards. It is not the first time the mine’s reserve has improved — Blair Athol was previously upgraded from 15 million tonnes to 18 million tonnes in February 2018. 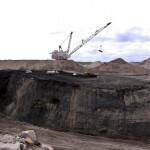 The latest increase will add three years to the mine’s economic life, for eight years in total, based on an output of three million tonnes of coal a year, according to the company. 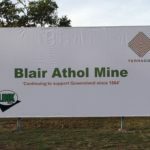 Blair Athol was closed by former owners Rio Tinto in 2012 and bought in 2014 by New Emerald Coal. TerraCom acquired the Blair Athol mine in 2016 through its subsidiary Orion Mining for just $1 from the Rio Tinto-managed Blair Athol Coal joint venture (BACJV), which had previously paid the Queensland Government nearly $80 million for rehabilitation purposes. The company took over the rehabilitation responsibilities as part of its condition for the $1 offer, with the $80 million being held in a government-controlled bank account. TerraCom is involved with several coal tenements in Queensland, including the Hughenden, Pentland, and Clyde Park Coal projects in the Galilee Basin, Springsure and Sierra projects in the Bowen Basin, and Kolan project in the Maryborough Basin.